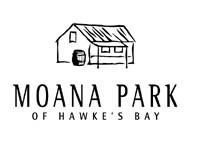 Moana Park is one of those vineyards that brings back great memories. When we visited the cellar door in the Hawkes Bay in January 2009, Dan Barker (the winemaker) told us to take a seat outside at the table, pulled a stool up and proceeded to lead us through their vast selection of wines. It is probably still the most memorable cellar-door experience I have ever had and Dan was a great laugh and superb host. Deep ruby red in colour, this wine predominantly has leather to the nose. This is one mouth-puckering tannic wine, although it is remarkably smooth to taste. Packed with red berry and plum flavours, it is very full-bodied and has some nice earthy & leather flavours present. With a medium tail this is a delight to drink. Drinking well now and feels like it will be able to be cellared longer.